The first three days of June, the GlobalPSC and a range of our members were front and center at the first ever World Resources Forum Asia Pacific and International Sustainability Symposium. 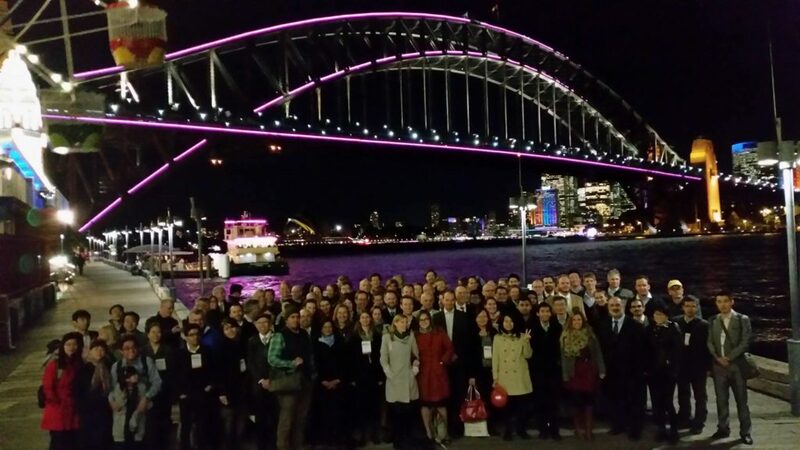 The event was co-hosted in Sydney by the World Resources Forum, SMaRT@UNSW and Institute for Sustainable Futures. With a robust mix of governments, academia, businesses and NGOs, the event targeted a range of relevant themes including the Circular Economy, product stewardship, sustainability, collaborations, applied research, materials technology and recycling e-waste through both formal and informal processes. The GlobalPSC and our members were well represented, including speakers from Close the Loop, Sustainability Victoria, NSW EPA and SMaRT@UNSW, plus active participation by Infoactiv, MobileMuster, Australian Packaging Covenant, Brisbane City Council and the Community Recycling Network. Members can contact us for access to relevant presentations. The PVC Product Stewardship Program is a voluntary initiative launched by the Vinyl Council of Australia in 2002. The 2014 Annual Report recently released for the Program shows increased commitment from signatories and a 50 percent increase in the number of companies in the Australian vinyl industry reporting actions to improve energy efficiencies on site, monitoring carbon emission or setting targets to reduce energy consumption. The Program aims to improve the sustainability of vinyl, or PVC, products by delivering change across the life cycle of PVC. Signatories include local manufacturers and importers of a wide range of products – pipes, conduit, cable, flooring, windows, building profiles, flexible packaging, fabrics and medical products – as well as suppliers of raw materials and intermediates. The Program is structured around five specific aspects of the life cycle of PVC products: best practice manufacturing, safe and sustainable use of additives, energy and greenhouse gas management, resource efficiency, and transparency and engagement. According to the report, more than two thirds of signatory companies are now complying with the industry’s ‘Energy Efficiency & Greenhouse Gas Charter’. The Charter, introduced into the industry’s long-running PVC Stewardship Program three years ago, formally commits businesses to improve energy efficiency at the warehouse, distribution and manufacturing level, and to reduce the carbon footprint of their operations, and ultimately, their products.